LiDAR (Light Detection and Ranging) has been one of the technology focuses in the past two years as it is a key technology for automotive vehicles and many other applications. According to “2018 Infrared Sensing Application Market Report” by LEDinside, the market value of LiDAR laser is expected to reach US$ 154 million in 2020. Worldwide LiDAR sensor producers and semiconductor firms have been pushing LiDAR development and extending applications through collaboration with other technology partners. Apart from self-driving technology, LiDAR sensors could be widely utilized in various applications including intelligent transport system, drone, geographical measurement and more. LEDinside has continued to track and collect information of LiDAR technology. As several major sensor developers and new startups have reported their progresses in the past year, LEDinside listed the updates of the industry in 2018 for readers to keep up with the latest news of LiDAR development. 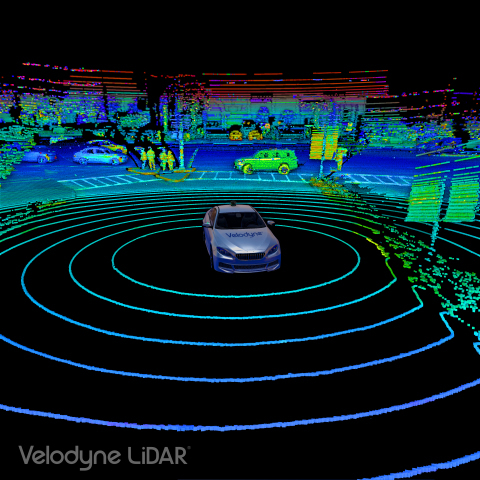 Velodyne LiDAR invented and patented the world’s first 3D real-time LiDAR sensor for autonomous vehicles. In January 2018, Velodyne LiDAR cut the price in half of its most popular LiDAR sensor, the VLP-16, aiming to make LiDAR products more accessible to speed up the development of self-driving technology for improving road safety. By July, Velodyne announced that it has adopted Renovo’s operation system for its new sensor Velodyne VLS-128 to increase the reliability and safety for autonomous vehicles in complex driving conditions. The company also provided its LiDAR sensors to ThorDrive, an autonomous vehicle startup for commercial autonomous vehicle services. Israel-based LiDAR developer Innoviz announced in 2017 that it would be ready to mass produce LiDAR products for L3-L5 autonomous driving by 2019. 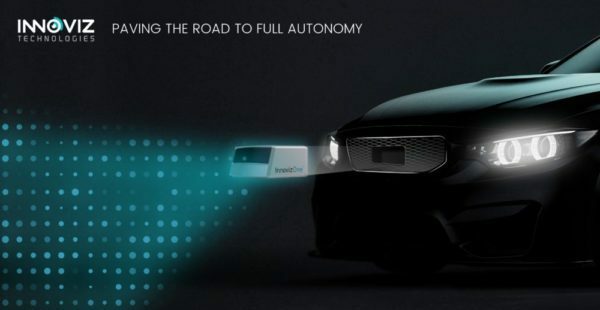 After the announcement, the company launched its autonomous driving LiDAR, InnovizPro, in January 2018. Innoviz then reported a partnership with Magna for providing solid-state LiDAR for the BMW group. Its product, InnovizeOne, will be deployed by BMW as part of its autonomous vehicles program beginning in 2021. Innoviz has also partnered with Tier 1 solution providers including Aptiv, Magna International, HiRain Technologies and Samsung HARMAN to increase its international presence. Quanergy System, a solid state LiDAR sensors and smart sensing solution developer, has cooperated with different partners for mapping and security applications of LiDAR. The company has received Series C funding which values over US$2 billion for further technology development and products production. Quanery announced in July that it has worked with iinside, a U.S.-based software developer, to upgrade airport security systems with LiDAR-based Analytics. The two companies integrate LiDAR technology and smart motion analytics for airports to collect accurate information for improving overall service and increasing operation efficiency. Quanery’s S3 solid state LiDAR sensors were selected by VRCO, an e-VTOL (electric Vertical Take-Off and Landing) craft developer for its new product. Meanwhile, LiDAR USA will use its M8 LiDAR sensors for UAV and mobile mapping systems. In June, Volvo announced its investment in a LiDAR startup, Luminar with its foundation, Volvo Cars Tech Fund, which helps high potential technology to be materialized. Through the partnership, advanced LiDAR perception technology of long-range vision has been introduced with Volvo Car’s 360c at the AutoMobility show held in November in Los Angeles. Osram Opto Semiconductors has demonstrated how its high-power infrared pulse lasers could be used for the development of autonomous vehicles and advanced driver assistance systems (ADAS) at North American International Auto Show in January 2018. The company also released its latest addition to its laser portfolio for LiDAR applications of autonomous vehicles in November this year. 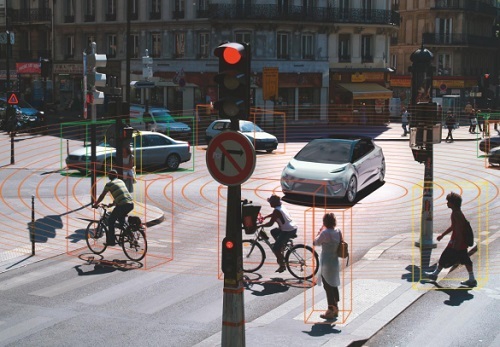 AEye, a robotic vision pioneer, has demonstrated its solid state commercial LiDAR system with 360° vehicle coverage last year. The company announced that it has raised a Series B funding of US$ 40 million in November for its global expansion. Established by former Apple engineer, Aeva is a LiDAR startup introducing 4D LiDAR technology which integrates LiDAR, radar, machine vision and motion sensor to simultaneously measure dense position and dense velocity. The new technology is said to avoid physical interference such as sunlight and lead to safer AI algorithms. LiDAR startup Cepton has worked with NVIDIA and unveiled its Vista LiDAR sensor in April. It has also provided its LiDAR solution for the Japanese automotive lighting supplier Koito, to integrate LiDAR sensors into vehicle lighting systems. Neuvition debuted its 480 lines HD video LiDAR, Titan M1 which features dynamically adjustable system and video fusion for autonomous driving and other applications like 3D imaging or surveillance. Belgium LiDAR company XenomatiX offers solid-state LiDAR solutions which deliver high resolution and superior density point clouds, allowing the digitization and understanding of the road and vehicle surroundings in real-time and in all weather and light conditions. The company showcased its LiDAR solution at Autonomous Vehicle Technology Expo in Michigan in October.